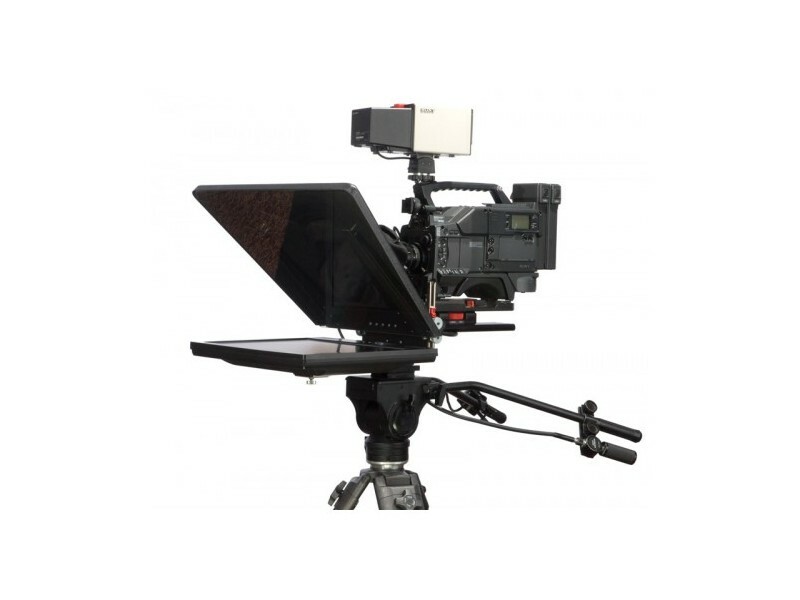 Proline Plus teleprompters are, following the principle 'turn 1 into 3, highly modular and can be quickly and cost effectively converted to be used with an iPad or with a size 12" to 24" monitor in standard 400 NITS or 1000 NITS brightness. 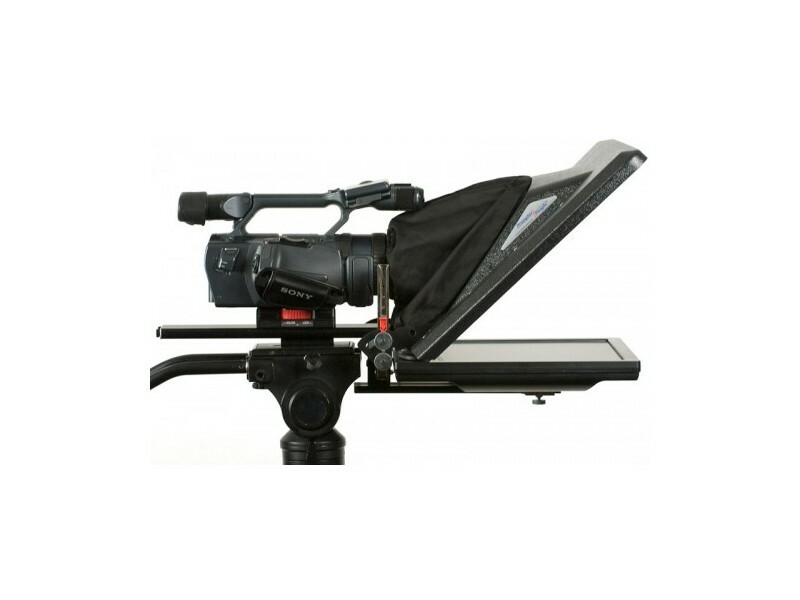 Proline Plus is made to be easily converted into a freestand, a standard teleprompter or a shoulder mount connected prompter. Sizes 12" to 19" are shipped in a padded carry case and all sizes come with a wireless controller and Pro PC & Mac software. To top it all off, Proline Plus models come completely pre-assembled and ready to use. 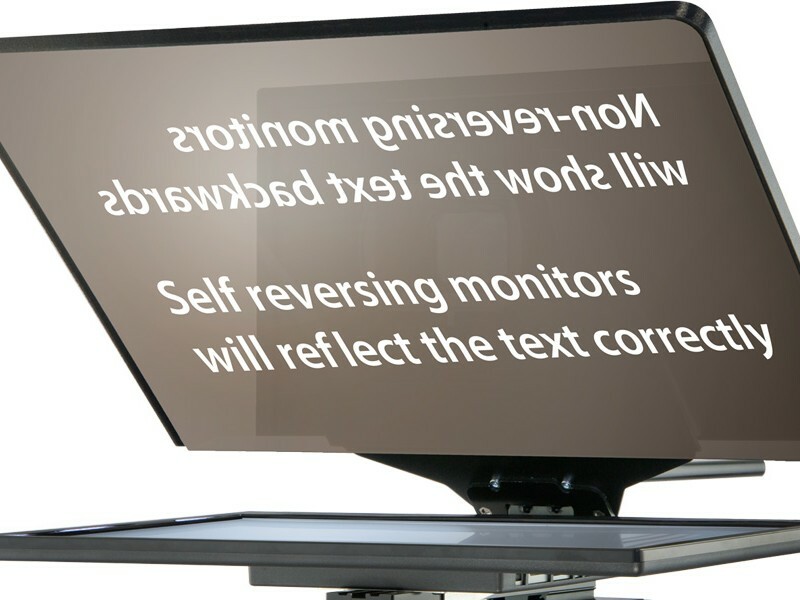 Self-reversing monitors reverse the text so it's readable on the teleprompter glass. Non-reversing, (Standard), monitors require complicated steps to reverse the text in software. At Prompter People, all or our teleprompters come with a reversing monitor - a feature that does not come with most other teleprompters in the business. This saves time and money on any shoot, and allows you to prompt with text or PowerPoint. All monitor based Teleprompter come with a Free copy of our Flip-Q software. 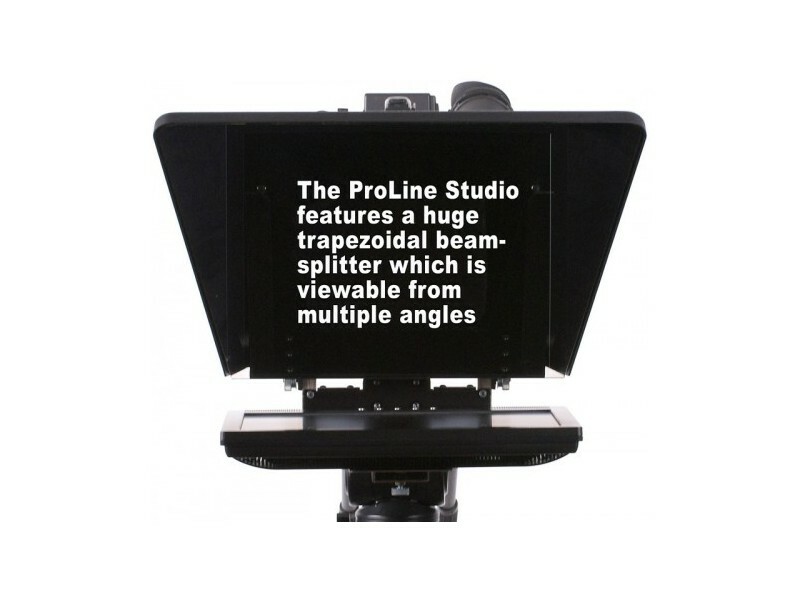 One of the major advantage for ProLine Plus series teleprompters is the easily variable beamsplitter height and angle. Raising or lowering the glass, or changing the angle of the glass for perfect viewing is quick and easy. Location shooters will value the ability to adjust to any shooting situation or camera. 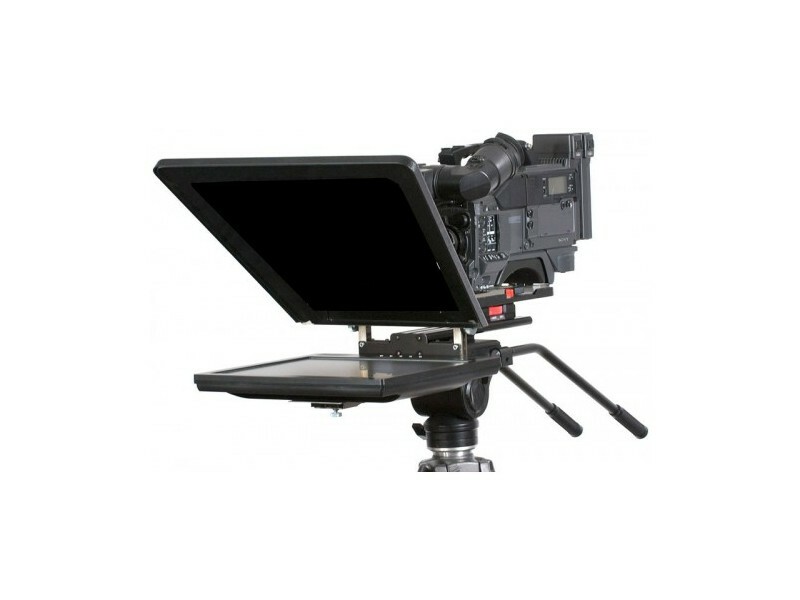 The ProLine Plus series of teleprompters allow for complete flexibility. From the inexpensive and easy to use iPad systems, to the largest, easy to read 24 inch monitors. Whichever one fits your needs we can ship to you right away. Each monitor size is matched to a specific glass size for use at ranges from 5 to thirty feet. Trapezoidal, or Studio Glass, has been specifically designed and used for years in TV productions. The outward sloping angle of the glass allows for a wider viewing angle, without creating problems of "fall off". When anchors or speakers are turning from one camera to another, the trapezoidal glass allows for off-axis viewing for multiple talent. At Prompter People, it's always about making the best product for the right user. The entire purpose of a Teleprompter is for the announcer or viewer to have an easy way to read text. Clean, clear and BRIGHT. 60/40 glass will reflect 40 percent of the monitor image back to the viewer. Allowing for a crisper, cleaner, BRIGHTER, easier to read image. Other Teleprompters will only reflect back 30% of the image, so the viewer may have a more difficult time reading the text. In our opinion, the companies that say 70/30 glass is better, are simply wrong. However, if you request 70/30 glass, we can make it available to you. High Bright monitors are a valuable option in any application where you need maximum brightness and readability from the teleprompter. Common uses would be outdoors or in brightly lit studios or auditoriums. Our High Bright monitors appear twice as bright to the eye compared to standard monitors. Notice in the image on the left the representation of the High Bright image. This represents what our 1000 NITS monitors look like compared to a standard 400 NITs monitor. Our standard monitors are very viewable in normal indoor conditions but High Bright monitors give an extra edge of brightness without effecting the image transmitted to the camera through the beamsplitter. It's incredibly easy to transform or breakdown your ProLine Plus. Go from Freestanding to SledMount in minutes with the removable sled. 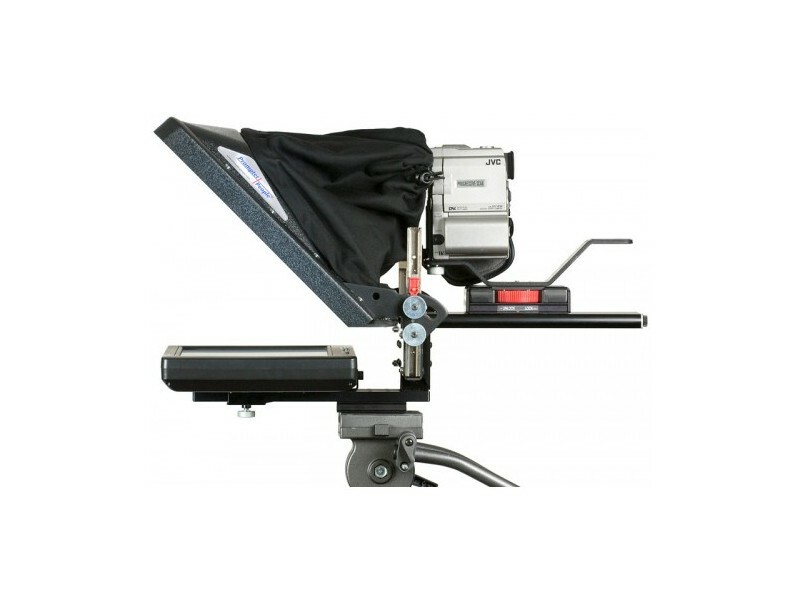 Breakdown to half the size of the legacy ProLine Teleprompter, this helps the ProLine Plus not only be a multipurpose Teleprompter, but also allows it to break down to a more compact version for storage and transport. 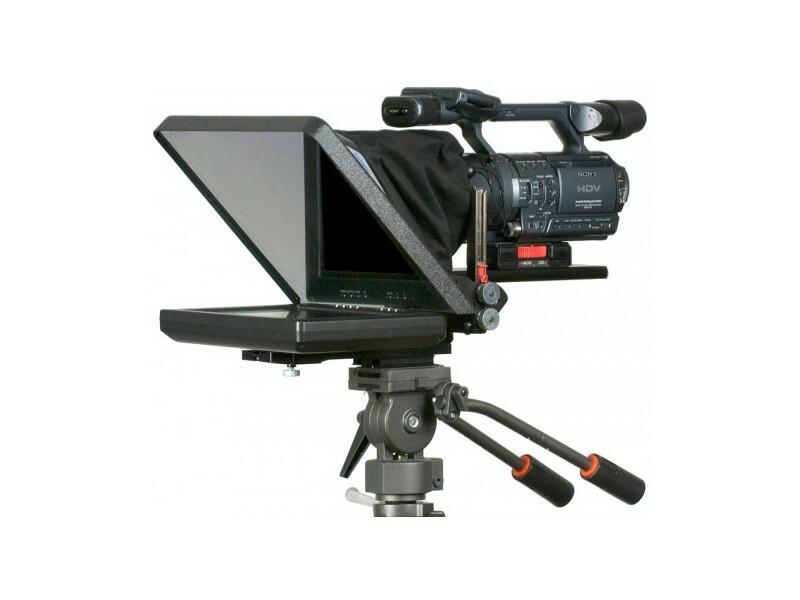 There are certain times / productions, where you need your Teleprompter to be mounted on a separate stand from the camera tripod, or to be connected via 15mm or 19mm rails. All Flex Plus and ProLine Plus models are easily switched over to a freestand or railmount teleprompter with easy and toolless conversion kits. These can be added on at checkout or purchased later as you need them. This essentially gives you 3 teleprompters in one. No need to break out a set of tools, or plan on an hour of set-up. No tools needed at all. No complicated instructions to read for setting up the glass and rail system. We have made our prompters as easy and solid to use as possible. That way you can focus on the task at hand.